Injuries occur in the blink of an eye and can change your life and your family forever. Fighting to protect your rights and recover full compensation for your injuries is often a difficult problem that most people don’t know how to deal with. You are up against more than just the person whose negligence caused your injury. You are up against a large insurance company, possibly even your own. THE POINT: Don’t talk to someone from the “other side” until you have consulted with someone on YOUR SIDE. Whether you have been injured working on a construction site, working at sea, or in a negligence accident, THE KAPLAN/BOND GROUP is on your side. Our adversaries often include large corporations and even larger insurance companies. Our trial attorneys are aggressive and thorough in the representation of our clients, well respected in the legal community, and have a solid reputation that precedes us in the state, federal, and appellate courts. We are also one of the few law firms that do all of our own appellate work. As such, we’ll see your case through to the distressing end. In a landmark case, our representation of an injured seaman led to another major victory in the United States Supreme Court: Stewart v. Dutra Const. Co., 543 U.S. 481 (2005). The ruling we achieved changed the law and expanded the rights of injured seamen nationwide. In that case, we lost twice in the trial court and then lost twice more on appeal of those losses. We did not quit there. We were right. We knew the courts had gotten it wrong. So we took it to the United States Supreme Court who, in a unanimous decision, agreed that we were right and that the four lower courts had gotten it wrong. This is but one example of the lengths we will go to for our clients and, just as important, our commitment to knowing the law and winning. 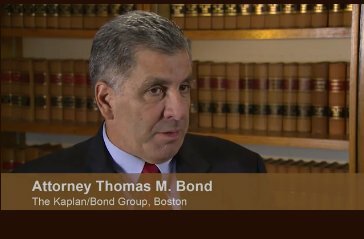 THE KAPLAN/BOND GROUP is so much more than just maritime law. Whether you have been injured while plying your trade at sea, or have suffered injury and damages because of someone’s negligence on land, our personal injury trial attorneys are ready to help. We are the law firm that working men and women have turned to for decades. Whether you have been injured on a construction site, by a defective product, by a defective premises (slips, trips, and falls), or in a motor vehicle accident, we are here to help you recover the damages you have suffered. When representing injured workers, we pursue any and all benefits that may be had by you under the law including workers’ compensation, Longshore and Harbor Workers’ Compensation, and/or maintenance and cure benefits under the Jones Act. We certainly don’t stop there! We also investigate the negligence of any person(s) or entity(ies) that, other than your employer, may have contributed to the cause of your injury. In certain cases, injured workers are entitled to additional recovery from a negligence claim against such other person(s) or entity(ies). We use the most recent technology, including photography, video footage, interviews, 3-D animation, and compelling multimedia presentations, at mediation and trial. Our experienced personal injury trial attorneys provide thorough legal representation through each stage of a case, from initial discovery to closing argument and upwards through appeal if necessary. Even in the most complex personal injury and work injury claims, our firm has the experience and resources necessary to help you protect your rights and financial interests. Contact us to schedule a no-cost consultation with one of our trial lawyers in our Boston, Massachusetts office, or we’ll come to you.